CamelToe Sidestand Foot Enlarger - Ergonomically Designed 100% A2 & A4 Stainless Steel Components & Nylon Powder Coated for Optimum Safety & Durability! CamelToe has... No! Raw Metal, No! Sharp Edges, No! Angled Corners, No! Cerrations, No! Castellations, No! Galvanic Corrosion. RIDESAFE! to UK and International Destinations! 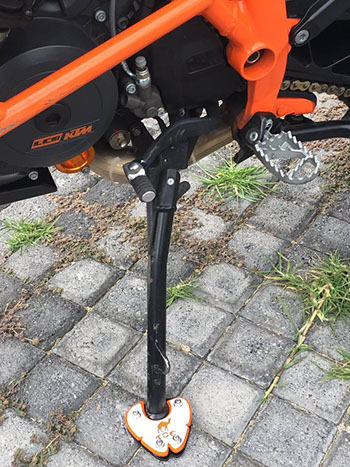 KTM Cameltoes - KTM 1190 Adventure 2014+, KTM 1190 Adventure R2014+, KTM 1290 Adventure 2015+, KTM 1050 Adventure 2015+. or Silver. Stainless Steel Fixings: Silver or Black. Black Plastic Nut Covers. 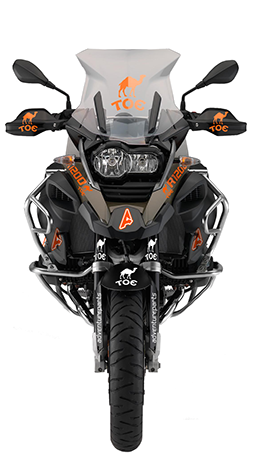 KTM 1190 Adventure & (R), KTM 1290 Adventure & (R), KTM 1290 Super Adventure T & (S). UNIQUE - ALL STAINLESS STEEL - COUNTERSUNK, BRANDED COMPONENT RICH, RUBBER BUSHING, SANDWICH CONSTRUCTION. DESIGN: Product Design by Award Winning Industrial Designers, RTW Adventure, Rallye and Enduro Riders! STANDARDS: Body Manufacturing - ISO9001 WCS/UKAS QM - BS EN ISO 9001:2000 Quality Management System Accreditation. We only use proven "TONKA TOUGH" Branded STAINLESS STEEL components - NO COMPROMISE!!! - UNIQUE to CAMELTOE by AdventureParts. BODY MANUFACTURING: Laser Profiled, Corrosion Resistant Stainless Steel A4 - Countersunk base 3mm, middle 3mm, top logo 0.5mm - 3 Plates (A4 GRADE), Nylon Powder Coating - UNIQUE to CAMELTOE by AdventureParts. CONSTRUCTION: Pre-Assembled & Hand-Built, Rubber Bushing, Sandwich Compression 3 Plate System - UNIQUE to CAMELTOE by AdventureParts. FIXINGS: All Stainless Steel A4, Countersunk M6 Allen Key Bolts, M6 Washers, M6 Nuts - "Nylock" (A4 GRADE) - UNIQUE to CAMELTOE by AdventureParts. DAMPING: Rubber Compression Bushes - "Holdtite" - genuine rubber - UNIQUE to CAMELTOE by AdventureParts. WEIGHT: 300 grams of stainless steel build quality - The only way to guarantee true functionality. CAMELTOE: Built for Adventure - Unrivalled performance... The finest design, craftsmanship and materials. Call Paul at AdventureParts on 07795844903 for all enquiries! 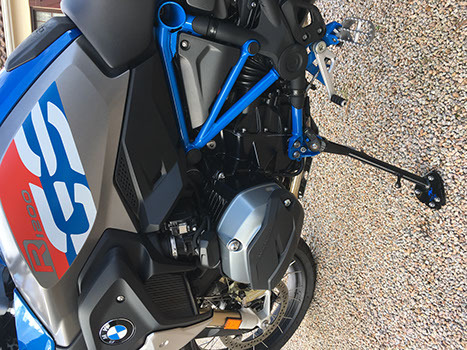 BMW Cameltoes - BMW R 1200 GS ADV (LC) 2014+, BMW R 1200 GS (LC) 2014+, BMW R 11500 GS ADV (AC) 2004+, BMW 800 GS ADV (NON CENTRE STAND FITTED). DESIGN: Product Design by Award Winning Industrial Designers, RTW Adventure, Rallye and Enduro Riders. STANDARDS: Body Manufacturing - ISO9001 WCS/UKAS QM - BS EN ISO 9001:2000 Quality Management System Accreditation. BODY MANUFACTURING: Laser Profiled, Corrosion Resistant Stainless Steel (A4 GRADE)Countersunk base 3mm, middle 3mm, top logo 0.5mm - 3 Plates. CONSTRUCTION: Pre-Assembled Sandwich Compression 3 Plate System. FIXINGS: Countersunk, Toughened, Corrosion Resistant Stainless Steel M6 Allen Key Bolts, M6 Washers, M6 Nuts - Nylock (A4 GRADE). DAMPING: Rubber Compression Washers - Holdtite - genuine rubber. CamelToe: Designed, Manufactured and Hand-Built to be THE BEST SIDESTAND ENLARGER... IN THE WORLD - Guaranteed! BODY MANUFACTURING: Laser Profiled, Corrosion Resistant Stainless Steel (A4 GRADE), Countersunk base plate 3mm, middle plate 3mm, top logo plate 0.5mm - 3 Plates. FIXINGS: Countersunk, Toughened, Corrosion Resistant Stainless Steel M6 Allen/Torx Key Bolts, M6 Washers, M6 Nuts - Nylock (A4 GRADE). 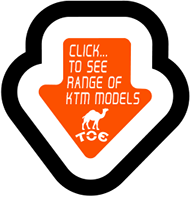 GENUINELY PIONEERING ADVENTURE With CamelToe® SINCE 2004 - RIDESAFE! CamelToe… Adventure on…with Proven Functionality & Reliability' BUYSAFE & RIDESAFE! 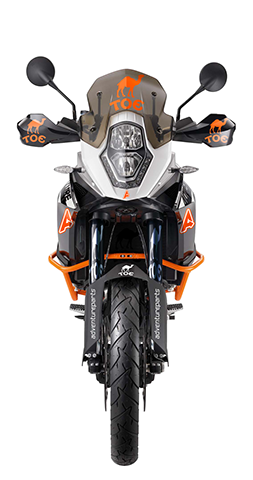 THIS CAMELTOE - FITS KTM & BMW Adventure Motorcycles (see models above). CamelToe® - Organically Designed & Nylon Powder Coated, Triple Plate Construction, Countersunk, Manufactured and Hand-Built - By Motorcycling Enthusiasts! The Evolution of the "CamelToe"® by AdventureParts … Embodies - Uncompromised Creative Engineering Freedom … Form Follows Function - for your Optimum Safety & Durability! 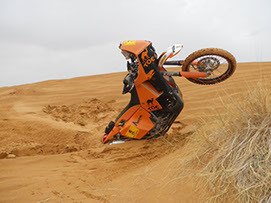 DEVELOPED AND PROVEN IN 3 DAKAR RALLYE's, 1 ALBANIAN RALLYE, 1 PHAROAHS RALLYE and RTW ADVENTURES. CamelToe is the 'ORIGINAL' & 'PROVEN' Solution - Since 2004. CamelToe® - We care - about our products and it shows!Simply put… "CamelToe" is Proven to be the Safest and Best Fitting/Performing Side-Stand Enlarger in the World! Made in England since 2004 - by Adventure, Enduro and Rallye enthusiasts. UNIQUE 100% A4 Stainless Steel Build… 3 Plates, M6 Countersunk Bolts, M6 Washers, M6 Nuts & Genuine Rubber Compression Bushings. UNIQUE Ultra Tough Nylon Powdercoating in Black, White & Orange - Colour Combinations. UNIQUE Countersunk base-plate with countersunk bolts - No other brand Countersinks Stainless Steel - Demand to see the base of the foot you're buying. UNIQUE 100% Branded Genuine Rubber Bushing - 'Anti-Vibration' Technology - This is what makes it work & stay attached. UNIQUE Triple Plate Construction - Compression Sandwich Anti-Vibration Technology. UNIQUE 31 Unique Component Rich Construction parts in each CamelToe. UNIQUE Laser Cut Triple Plate Construction with Laser Cut CamelToe Logo - Built for Real Adventure! COMPONENT RICH CONSTRUCTION - TONKA TOUGH! RIDESAFE! - With CamelToe®by AdventureParts Design Rights Copyright & Intellectual Rights Copyright … 2004-2019. That says, it all really!!! 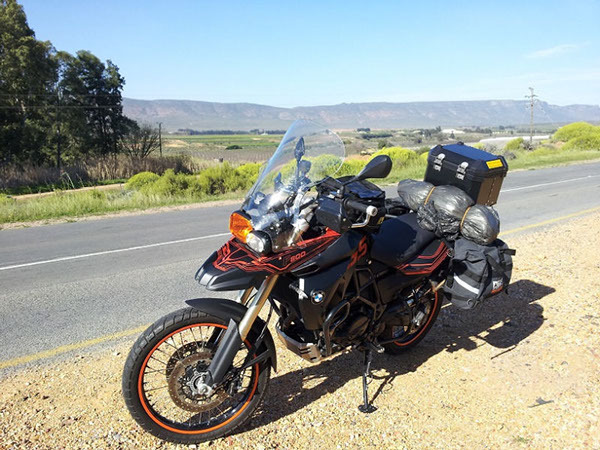 BMW R 1200 GS & GS ADVENTURE - 2013-2019 & BMW R 1250 GS & GS ADVENTURE (LC) - 2019. BODY MANUFACTURING: Laser Profiled, Corrosion Resistant Stainless Steel A4 - Countersunk base plate 3mm, middle plate 3mm, top logo plate0.5mm - 3 Plates (A4 GRADE), Nylon Powder Coating - UNIQUE to CAMELTOE by AdventureParts. 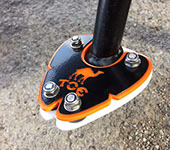 Sidestand Foot CamelToe - Organically Designed & Nylon Powder Coated for Optimum Safety & Durability! No! Raw Metal, No! Sharp Edges, No! Angled Corners, No! Cerrations, No! Castellations, No! Galvanic Corrosion. ADVENTURE PARTS® - ADVENTURE PARTS® COPYRIGHT 2004-2019. Exists on all our products designed and manufactured from 2004 upto and including 2019. Adventure Parts products are the sole copyright© of Adventure Parts®. Including: Design Right Copyright©, Manufacture Copyright©, Mechanic Copyright©, Intellectual Property Copyright© and all brandnames associated with our products are Copyright© protected from 2004 upto and including 2019. ADVENTURE PARTS - BRANDS/PRODUCTS CAMELTOE® for KTM, BMW, YAMAHA, HONDA, SUZUKI, KAWASAKI, BUELL AIR-RAM ® for KTM DARKAIR-SCREEN® for KTM ADV-RAK® for KTM, YAMAHA ADV-CHASSIS® for KTM, BMW, YAMAHA, HONDA, SUZUKI, KAWASAKI, BUELL The COPYRIGHT and REGISTERED TRADEMARK of all the above ADVENTURE PARTS products belongs solely to ADVENTURE PARTS 2004 - 2019. AdventureParts® TRADEMARKS AND COPYRIGHTS. Cameltoe® Sidestand Extension ... Has the following COPYRIGHTS - UK LAW. (2004-2019). Intellectual COPYRIGHT 2004 - 2019. Mechanic COPYRIGHT 2004 - 2016. ADV AIR-RAM® Anti-Buffeting Device ... Has the following COPYRIGHTS - UK LAW. COPYRIGHT 2004 - 2019. Intellectual Property (I.P.) COPYRIGHT 2004 - 2019. Design COPYRIGHT 2004 - 2019. Mechanic COPYRIGHT 2004 - 2019. ADV-RAK® Luggage Carrying Device ... Has the following COPYRIGHTS - UK LAW. (2005-2019). Intellectual Property (I.P.) COPYRIGHT 2004 - 2019. Design COPYRIGHT 2004 - 2016. Mechanic COPYRIGHT 2004 - 2016. ADV-CHASSIS® Drinks Fuel Oil Bracket ... Has the following COPYRIGHTS - UK LAW. (2004-2019). Intellectual Property (I.P.) COPYRIGHT 2004 - 2019. Design COPYRIGHT 2004 - 2019. Mechanic COPYRIGHT 2004 - 2019. DARK-AIR® SCREEN Front Anti Turbulence Screen ... Has the following COPYRIGHTS - UK LAW. 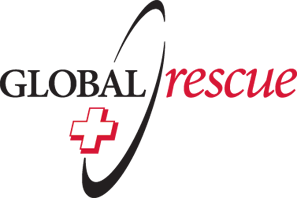 (2004-2019). Intellectual Property (I.P.) COPYRIGHT 2004 - 2019. Design COPYRIGHT 2004 - 2019. Mechanic COPYRIGHT 2004 - 2019. COPYRIGHT© 2004-2019. Adventure Parts and its licensors. All rights reserved. Including All European Licensed Copyright Laws. AdventureParts Logos and its product logos are trademarks or registered trademarks of Adventure Parts and its affiliates in the U.S., Europe and/or other countries. Protection of all Copyrights will be strictly enforced by UK Customs & Excise Law as at 2004-2019. Disclaimer/Product Liability Policy/Common Sense Policy for CAMELTOE or any AdventureParts Products: At Adventure Parts we acknowledge that all forms of motorcycling and all related activities to be extremely dangerous... Do not buy or install these products or any Adventure Parts products on your motorcycle unless you ride/work on your motorcycle with fully protective or race ready motorcycle riding gear from head to toe at all times; as failure to do so may result in injury from this product. Your purchase and or installation of this product or any Adventure Parts products and subsequent requirements to usage are 100% essential - 100% of the time. Usage and installation of this product is entirely at your own/third party risk and liability. Adventure Parts will not be held liable for improper installation or usage of this product. If you are unsure of any installation/usage procedures please contact mail@adventureparts.co.uk for more information. If you are interested in purchasing anything from our site, you may do so by applicable BUY-NOW button. 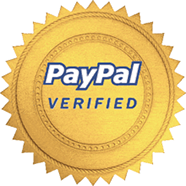 We only use Paypal for secure payment and your safety. You may also message, email or call +44 (0)7795844903 to make an order over the phone, we will then send you a PayPal invoice. All delivery costs are included in item prices as displayed & at the checkout. All our postage is cost based, registered, tracked and signed-for upon delivery (National and International). We want you to be completely satisfied with your purchase from us. If for any reason you're not happy with your goods, simply return them to us in NEW / original / unused condition with original packaging contents - Please note refunds exclude any Postage & Packaging included in the original cost of your item purchased - as Postage is an outside cost to us. You must also pay a £5.00 Administration Fee to process your refund, returns must be via registered postage (returns postage will be for your account only) All returns to AdventureParts address - See Packaging. Adventure Parts offer a 'no quibble' returns policy and will accept exchanges within 21 days of purchase. After receipt of returned goods we will exchange the item(s) or give a part refund - as stated above - depending on returned condition of goods we may adjust refund amount accordingly. Disclaimer/Product Liability Policy/Common Sense Policy for CAMELTOE/ADVENTURE AIR-RAM/ADVENTURE RACK or any AdventureParts™ Products: At Adventure Parts we acknowledge that all forms of motorcycling and all related activities to be extremely dangerous... Do not buy or install these products or any Adventure Parts products on your motorcycle unless you ride/work on your motorcycle with fully protective or race ready motorcycle riding gear from head to toe at all times; as failure to do so may result in injury from this product. Your purchase and or installation of this product or any Adventure Parts products and subsequent requirements to usage are 100% essential - 100% of the time. Usage and installation of this product is entirely at your own/third party risk and liability. Adventure Parts will not be held liable for improper installation or usage of this product. If you are unsure of any installation/usage procedures please contact mail@adventureparts.co.uk for more information. ALL ADVENTUREPARTS PRODUCTS ARE TO BE USED FOR INTENDED PURPOSES (SEE WEBSITE - FOR DETAILS) ONLY (AND WITH A DEGREE OF COMMON SENSE - IF UNSURE PLEASE CONTACT US...). IF YOU ARE UNSURE OF INSTALLATION - PLEASE NOMINATE ADVENTUREPARTS TO INSTALL THIS PRODUCT ON YOUR BEHALF. ANY ADVENTUREPARTS PRODUCT PURCHASED DIRECTLY OR FROM THIS WEBSITE & INSTALLED & USED BY YOU/THIRDPARTY IS DONE SO ENTIRELY AT YOUR/THIRDPARTY OWN RISK. AS ADVENTUREPARTS PRODUCTS ARE PURCHASED, INSTALLED & USED BY THE PURCHASER/THIRDPARTIES - WE TAKE NO LIABILITY/RISK FOR IMPROPER INSTALLATION, USAGE, DAMAGE CAUSED IN ANY WAY SHAPE OR FORM FOR ALL & ANY ADVENTUREPARTS PRODUCTS 2004-2019. ADVENTUREPARTS PRODUCTS ARE TO BE USED ENTIRELY AT YOUR OWN RISK & INSTALLATION AND USE OF OUR PRODUCTS IS DONE & TAKEN BY YOU / THIRDPARTY ENTIRELY AT YOUR OWN /THIRDPARTY RISK. PURCHASING & USING ADVENTUREPARTS PRODUCTS FOR USAGE BY YOU & OR A THIRD PARTY IS YOUR/THEIR ACKNOWLEDGEMENT/AGREEMENT/ AND FULL ACCEPTANCE BY YOU/THIRDPARTY OF THIS PRODUCTS LIMITED USE & LIABILITY DISCLAIMER - DETAILED ABOVE. THE LIMIT OF ADVENTUREPARTS FULL AND ABSOLUTE LIABILITY IN THE PURCHASE, INSTALLATION & USAGE OF ANY ADVENTUREPARTS PRODUCTS IS LIMITED SOLELY TO THE PURCHASE PRICE OF THE PRODUCT PURCHASED - EXCLUDING POSTAGE. YOUR PURCHASE, INSTALLATION & USAGE OF ANY ADVENTUREPARTS PRODUCT IS YOUR FULL ACCEPTANCE TO OUR TERMS & CONDITIONS OF PRODUCT LIABILITY AND FULL ACCEPTANCE OF OUR PRODUCTS POTENTIAL RISK TO YOU/THIRDPARTY - & YOUR ABSOLUTE ACCEPTANCE TO ANY RISKS AND LIABILITIES CONCERNED WITH THE USAGE OF ANY OF ADVENTUREPARTS PRODUCTS AND THE FULL AND FINAL LIMIT TO OUR PRODUCT'S LIABILITY TO YOU OR THIRDPARTY IE. "PURCHASE PRICE OF THE PRODUCT PURCHASED". PURCHASING, INSTALLING & USING OF ANY ADVENTUREPARTS PRODUCTS IS YOUR FULL AND FINAL ACCEPTANCE THAT NO OTHER CLAIM (APART FROM PRODUCT PRICE EXCL. POSTAGE COSTS - REFUND). NO MATTER WHAT WILL BE ENTERED INTO - AND YOU ACCEPT THESE TERMS. IN SUMMARY: PURCHASE, INSTALLATION & USAGE OF ADVENTUREPARTS PRODUCTS BY YOU / THIRDPARTY IS YOUR TOTAL ACKNOWLEDGEMENT AND AGREEMENT/ACCEPTANCE OF ANY RISKS/DAMAGES ACCIDENTS - THAT MAY ARISE FROM OF USAGE OF ANY ADVENTUREPARTS PRODUCTS. PURCHASE , INSTALLATION & USAGE IS YOUR FULL AND FINAL ACCEPTANCE THAT YOU / THIRDPARTY WAIVER OF ANY RIGHT TO MAKE A CLAIM FOR ALL, ANY OR WHATEVER REASON AGAINST ADVENTUREPARTS PRODUCTS 2004-2019. IE. CAMELTOE. LIABILTY DISCLAIMER: FOR ADVENTURE PARTS UK, USA, and all other Countries. AdventureParts Logo & Products & Cameltoe Logo & Products - Copyrights 2004 - 2019 (UK & European Copyright LAWs). DELIVERY OF ALL OUR PRODUCTS IS INCLUDED IN THE SALE PRICE OF ITEM's DISPLAYED ON OUR WEBSITE - THIS INCLUDES NATIONAL & INTERNATIONAL DELIVERIES. This service is VIA Royal Mail - United Kingdom : www.royalmail.com. Packages are Fully Registered and Tracked and Signed for by the Purchaser upon delivery. Upon despatch we will send notification and Tracking Number VIA your PayPal transaction. Every Adventure Rider 'LINK' You'll Ever Need!